If you back up your iPhone, iPad, or iPod touch, you'll have a copy of your information to use if your device is ever replaced, lost, or damaged. Backups let you transfer data from your last device to your new one. 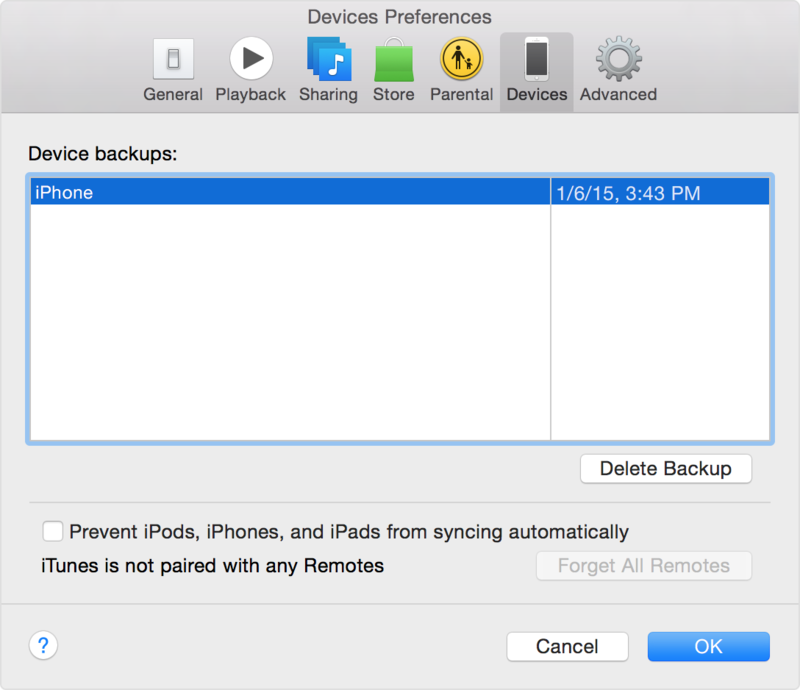 Before you get started, learn the difference between making backups with iCloud and iTunes. For example, iCloud backups include different kinds of data than iTunes backups. Decide which method is best for you and follow the steps below. In case you ever need an alternative backup, you can make one in iCloud and another in iTunes. 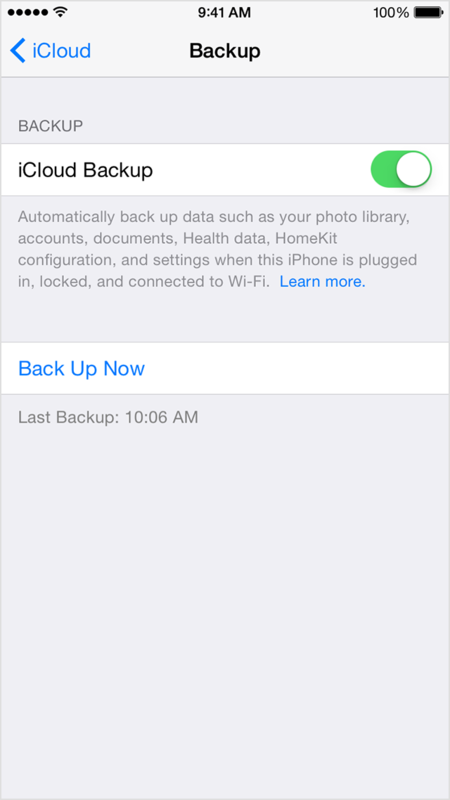 In iOS 8 or later, tap Settings > iCloud > Backup. In iOS 7 or earlier, tap Settings > iCloud > Storage & Backup. Make sure that iCloud Backup is turned on. Tap Back Up Now. Stay connected to your Wi-Fi network until the process completes. Make sure the backup finished by tapping Settings > iCloud > Storage > Manage Storage. The backup you just made should appear with the correct date and backup size. Your device is connected to a power source. Your device is connected to a Wi-Fi network. Your device's screen is locked. Open iTunes and connect your device to your computer. 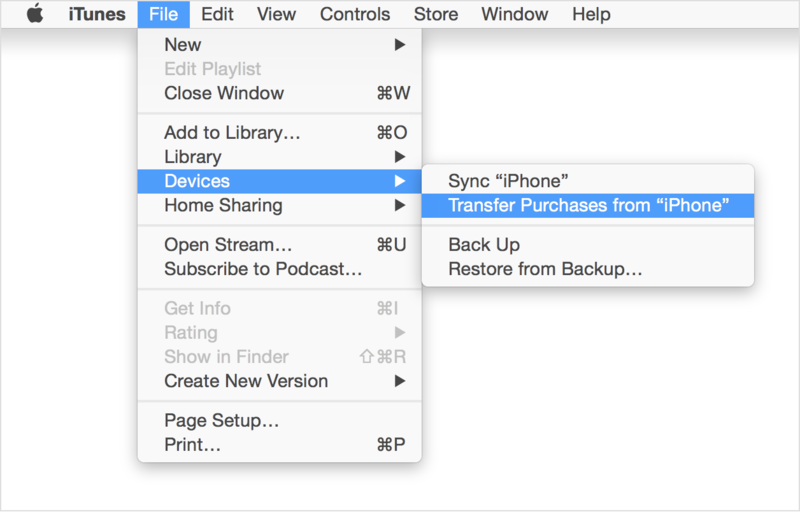 Save content that you downloaded from the iTunes Store or App Store by clicking File > Devices > Transfer Purchases. Click File > Devices > Back up. 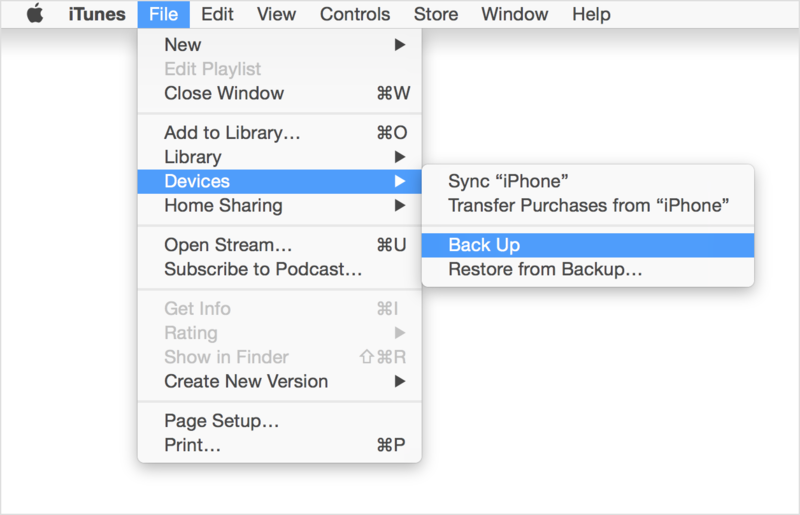 After the process ends, you can see if your backup finished successfully by clicking iTunes Preferences > Devices. You should see the name of your device with the date and time that iTunes created the backup.